-Mission Impossible is America’s version of James Bond and rather than compare who is better, I feel they are both necessary in the fictional world of terrorism and nuclear attacks. -Yes, Tom Cruise is crazier than a senior home. But that is why we must hault celebrity worship. They are JUST people. That means they convey idiotic ideas similar to your toddler brother or your crystal-meth addicted sister. They are actors – that’s it. So appreciate him as an actor and do not view him as some sort of all-knowing idol or as someone who should automatically know right from wrong, or crazy from sane. -Three of the most badass action scenes of the year all occur in this film: Firstly and obviously, the opening scene where Tom Cruise rides on the side of a departing aircraft. Secondly, the underwater sequence where it has been reported that Cruise held his breath for five minutes. 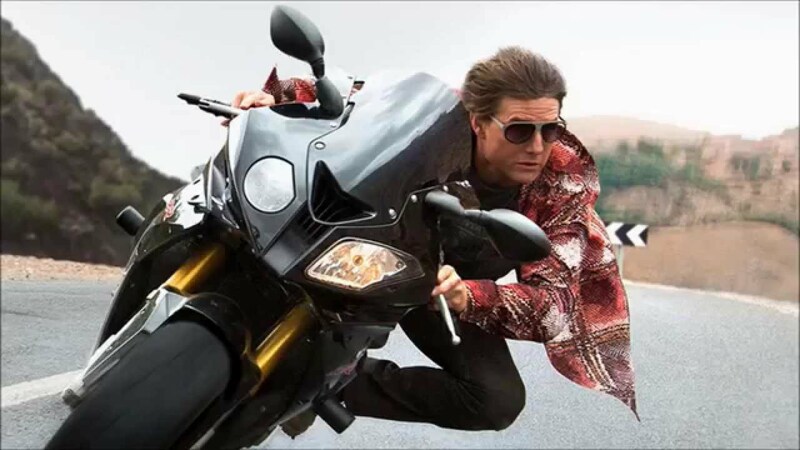 Thirdly, the motorcycle scene where Cruise travels at mach 7 speeds to catch a spy carrying an extremely important memory card. -Toned, pouty-faced, Eastern Europeans/Russians are the new blonde. -For 53 years old, Tom Cruise is stupidly jacked. -For 53 years old, Tom Cruise has amazing hair. -For 53 years old, Tom Cruise is cooler than most 17 year olds. -This movie was entertaining, but it is the second installment of this series that will likely be considered the greatest version when it’s all set and done. -I can’t look at Alec Baldwin without thinking of Jack Donaghy. -What a shame that Tom Cruise has come to be such a polarizing character. In the past five years, he has released three of his greatest action movies: Oblivion, Edge of Tomorrow, and now Mission Impossible: Rogue Nation. Cruise is the greatest action hero of all time, but his career has taken such a savage blow from his personal beliefs and antics, that his accomplishments will forever be cast in a dismal shadow of controversy and confusion.